Now is the time to look at the circular economy on the micro-level. Much as fast expanding markets require us to look at the economy at the granular level, circular economy principles require consideration of resources on a molecular level. Chemistry is the study of matter, and “green chemistry” – or what we in the business world might call molecular technology – will be a key component in closing the overall consumption loop. Green chemistry, or sustainable chemistry, involves creation on the molecular level: devising chemical reactions that give rise to new products and processes that have the ability to meet sustainability goals, such as becoming more energy-efficient, and reducing the amount of waste or harmful matter found in the environment. Some major themes in green chemistry today include reducing our reliance on nonrenewable energy sources, reducing industrial carbon footprints, breaking down landfill waste, and taking advantage of abundant resources (waste) that nobody wants – like carbon dioxide, for example. Carbon dioxide has a deserved reputation of being a damaging greenhouse gas that is pushing up the rate of global warming. Green chemistry has been pivotal in coming up with ways to use CO2 as a resource instead of having it become a waste product stuck in our air. For instance, chemists found that when CO2 molecules are kept in a transitive state, or what's known as transcritical CO2, the dynamic state in which CO2 is at the point of converting from a liquid to a gas, it can be used as an industrial refrigerant to keep things cool. The application of transcritical CO2 is clear. We have a lot of buildings that need to stay cold: supermarkets, food processing facilities, warehouses, and even ice skating rinks. Thanks to transcritical CO2, a building's climate impact can be reduced by approximately 15% while also replacing chlorofluorocarbons and hydrofluorocarbons – greenhouse gases that are commonly used for refrigeration. The following examples demonstrate that understanding green chemistry can create a circle of virtuous economic activity that provides competitive advantages for businesses. Green chemistry has reduced the carbon footprint for the Dow Chemical Company's paint production. Titanium dioxide is an important additive to paint, but is also expensive and energy-intensive to make. It acts as a base pigment in paint that covers the original color underneath the new coat of paint. Through research to find greener chemical reactions, Dow Chemical developed a polymer ( EVOQUE™ ) that improves the function of titanium dioxide by coating it and enabling it to be dispersed more evenly and thoroughly. As a result, the effectiveness of paint was actually improved while requiring less titanium dioxide to make. Not only was the product improved, but costs were cut because the paint now required less titanium dioxide to make. Moreover, a lifecycle assessment (LCA) of the production of paint showed that the reduction of titanium dioxide through the use of EVOQUE™ in outdoor house paint reduced the carbon footprint of the paint by 22% and consumed 30% less water. EVOQUE™ also reduced the amount of VOCs (volatile organic compounds) in the paint, which contributes to smog (also known as tropospheric ozone). This is green chemistry in action. Many industrial processes typically create gas byproducts that cannot be utilized. Though gas fermentation processes – in which microorganisms convert a combination of gases into fuels – do exist, most gas byproducts don't have the right combination of molecules required for gas fermentation. Dihydrogen, which is normally necessary, is particularly hard to come by in industrial gas byproducts. To address this gap, Illinois-based LanzaTech Inc. developed proprietary microbes that can convert the gas byproducts into fuels without dihydrogen. This breakthrough process makes it possible to utilize gas fermentation in more settings and more industries, and the economic benefits of being able to produce fuels out of existing gas byproducts are clear. Moreover, third-party LCA analysis showed that fuels made through LanzaTech's process creates 70% less greenhouse gases than traditional fossil fuels, in addition to a reduction in particulate matter and other molecular byproducts that contribute to smog. Polystyrene foam will be familiar to anyone who has picked up an egg carton. Polystyrene foam is also used for meat and poultry trays and fast food containers. As it turns out, CFCs, a greenhouse gas that negatively affect the ozone and air quality, were required to make polystyrene – that is, until the Dow Chemical Company developed a process to use CO2 instead of CFCs. CO2 is common industrial byproduct and is abundant and readily available. This green chemistry process keeps 3.5 million pounds of CFCs out of the atmosphere and only uses existing CO2, so that it helps reduce global levels of CO2. The Dow Chemical Company patented the technology and licenses it commercially, creating a new income stream for itself as well as preserving air quality for all. 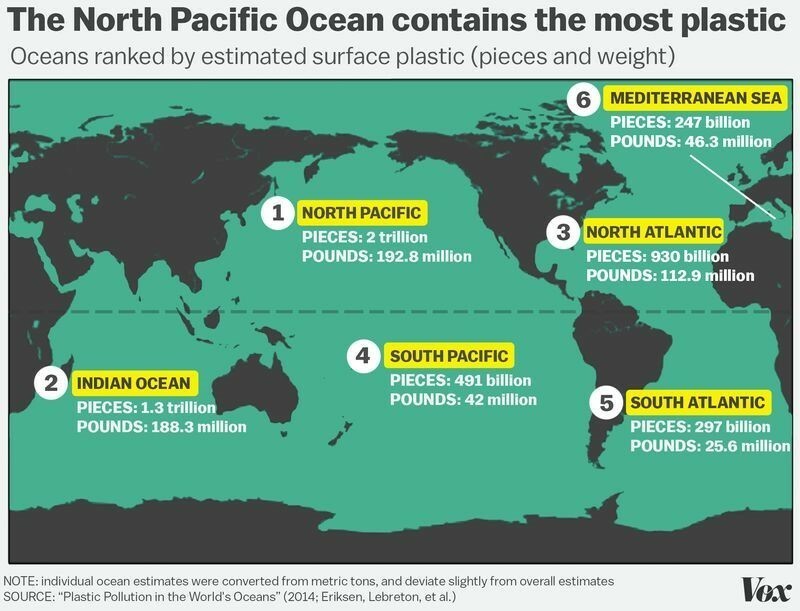 Today, plastic takes anywhere from 500 to 1,000 years to degrade, and anywhere from four to twelve million metric tons of additional plastic end up in our oceans every year. The end game can't be far. Polyethylene is one of these plastics, known sometimes as PET or no. 1 plastic and is ubiquitously used for making plastic water bottles, paper bags, clam shell packaging, and other containers, thanks to its light weight and sturdiness. But the downside to those desirable qualities in modern living is that PET is hard to degrade because of its highly stable molecular structure and resilience against moisture (it was designed to be able to store liquids, after all). Fortunately, researchers in Japan however have discovered a microbe that can break down PET and also identified enzymes to stimulate the microbes to break down PET even faster. Meanwhile, in California, Stanford researchers hope to provide a means for manufacturers to move away from petroleum-based production processes to make plastic. Today, many plastics are petroleum-based. Professor Matthew Kanan and his lab researchers recently created a novel way to make plastic out of carbon dioxide and plant byproducts, such as agricultural waste or otherwise unusable plant material, like fibers left over from carrot juicing. Going forward, green chemistry will be an important foundation for the circular economy, since a no-waste use of natural resources is one of its overarching goals. For the non-science person, green chemistry may be highly technical but it can also be highly rewarding, for those who are willing to invest in it.